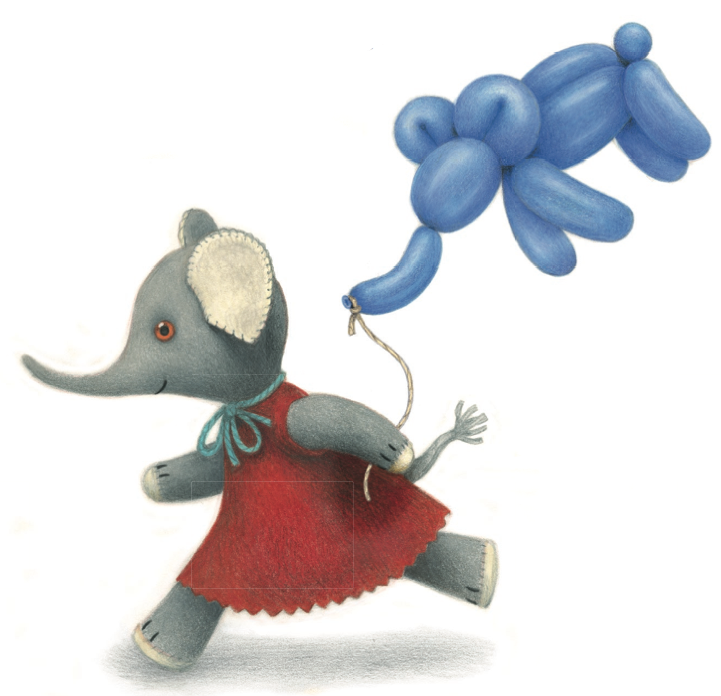 Meet Jane Hissey’s new character, Elsie the Elephant! 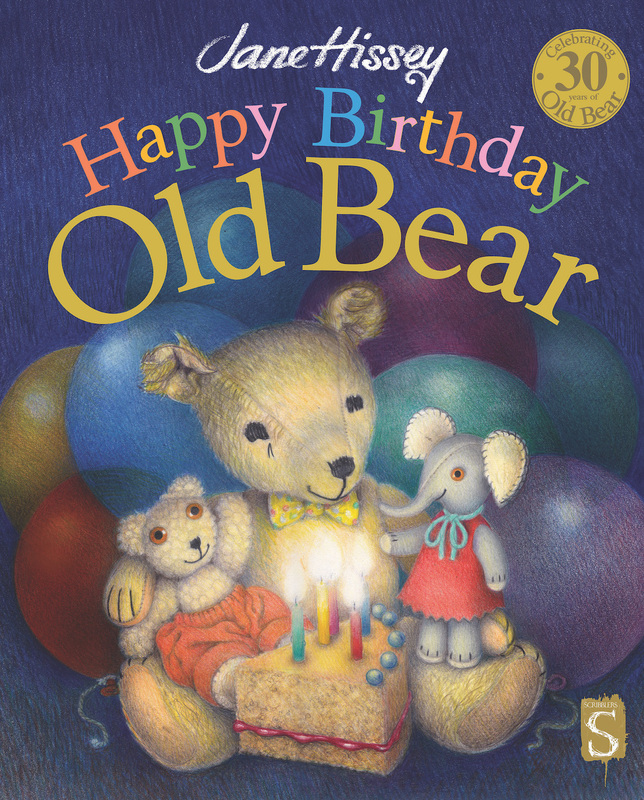 Old Bear is celebrating his 30th birthday this year and Story Snug would like to wish him many happy returns! We’d also like to send our congratulations to Jane Hissey for creating so many loveable, memorable characters and for writing such wonderfully humorous and entertaining stories. 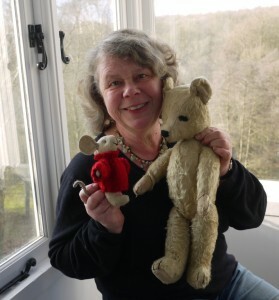 Today we are absolutely delighted to introduce you to Jane’s brand new character who joins the playroom friends to help celebrate Old Bear’s birthday. Elsie’s special birthday present for Old Bear gets her into a bit of trouble in Jane’s newest book, ‘Happy Birthday Old Bear’, which will be published on September 28th by Scribblers. Happy 30th Birthday Old Bear! Thank you to you and your friends for giving us so much entertainment over the years. Jane’s first picture book, ‘Old Bear’ was published in 1986. Since then, Jane has written and illustrated over 20 picture books, each one taking a year to illustrate. The 40 episode television series of ‘Old Bear Stories’ won many international awards including a BAFTA and a NY Film Festival Gold Award. Jane has three grown-up children and lives with her husband, Ivan, who is also an illustrator. My favourite Old Bear characters are Little Bear and Rabbit and my daughter loves Hoot and Jolly Tall. Do you have a favourite character from Jane Hissey’s stories? I loved the Old Bear stories so much when I was little. Little Bear was my favourite and I remember loving the part in Little Bear’s Trousers when they use his trousers ro pipe icing! Little Bear’s Trousers was the first Old Bear story I read and I’ve loved Little Bear ever since 🙂 I love Rabbit using the trousers as a ski hat! I remember my brother adored the Old Bear books when he was little – his fave was Jolly Tall. Such good fun. My daughter loved Old Bear when she was young. Great news about the new book. One for the grandchildren for sure. I love Jane Hissey’s illustrations, they’re what drew me to her books in the first place (and the fact that they were about teddy bears! ).